JET PROVOST AIRCRAFT. Ideal For Jet Provost Operators or Museum / Cockpit Restoration Project etc. External Tail Fairing. PART: 5031028. A/C TYPE: TORNADO GR4. JET PROVOST T5. Ideal For Jet Provost Operators or Museum Restoration Project etc. 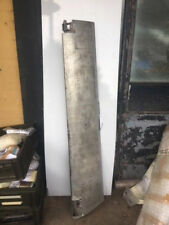 Jet Pipe Heat Shields. Upper & Lower Jet Pipe Clamp Heat Shields. JET PROVOST T5 / STRIKEMASTER. Ideal For Jet Provost / Strikemaster Operators or Museum Restoration Project etc. External Tail fairing. JET PROVOST T5. Ideal For Jet Provost T5 Operators or Museum Restoration Project etc. JET PROVOST T3 / T4 AIRCRAFT. Ideal For Jet Provost Operators or Museum / Cockpit Restoration Project etc. External Engine Bay Fairing. JET PROVOST T5. Ideal For Jet Provost T5 Operators or Museum Restoration Project etc. Canopy Weather Seal. JET PROVOST T5. Ideal For Jet Provost T5 Operators or Museum Restoration Project etc. Air Conditioning Pipe. JET PROVOST T5. Ideal For Jet Provost T5 Operators or Museum Restoration Project etc. De-Icing Pipe. JET PROVOST T3 & T4 AIRCRAFT. Ideal For Jet Provost Operators or Museum / Cockpit Restoration Project etc. Main Undercarriage Door. JET PROVOST AIRCRAFT. Ideal For Jet Provost Operators or Museum Restoration Project etc. Rudder Pedal With Servo Motor. JET PROVOST AIRCRAFT. Ideal For Jet Provost Operators or Museum / Cockpit Restoration Project etc. JET PROVOST T3 & T4 AIRCRAFT. Ideal For Jet Provost Operators or Museum / Cockpit Restoration Project etc. Cockpit Nose Undercarriage Door. JET PROVOST T5 AIRCRAFT. Ideal For Jet Provost Operators or Museum / Cockpit Restoration Project etc. Port Side Air Intake Fairing / Access Panel. Canopy Pressurisation Seal. JET PROVOST T5 / STRIKEMASTER. Ideal For Jet Provost T5 / Strikemaster Operators or Museum Restoration Project etc. Tornado Aircraft Window Cover. Complete with webbing strap & "remove before flight" flag. Flag: 30cm x 8cm. REMOVED FROM AIRCRAFT ZA591. A/C TYPE: TORNADO IDS 1. PART: 21-009-01. JET PROVOST T5. Ideal For Jet Provost T5 Operators or Museum Restoration Project etc. AC Invertor Connector Lead Plug. GR4 Tornado ZA453 Pilot Multi-Function Display !! LAST ONE !! Great for upcycle projects. Table legs, aviation decor, man cave decor, industrial/rustic look, and lots more! Tornado Aircraft Engine Part. With bearing sat on a level table, the tube does swivel. Great for upcycle projects. aviation decor, man cave decor, industrial/rustic look, and lots more! Tornado Aircraft Actuator Nozzle. Not sure what its purpose is, but it has been removed from a Tornado aircraft engine. Canopy Jettison Clear Panel. JET PROVOST T5. Ideal For Jet Provost Operators or Museum Restoration Project etc. Tornado Aircraft IPC Rotor Shaft. Direct from the RAF. 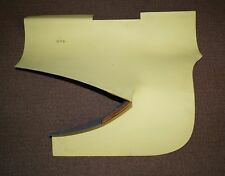 Removed from Aircraft ZG729. Wing Spoiler -Inboard Left Hand. Ideal for conversion into desk, table, bar top, bench, seat, shelf etc. 147.51cm length. Weight 15.5kg. Used as flown condition. We can only export to certain countries. This item is straight from the MOD. Tornado Aircraft Window Cover. Complete with webbing strap & "remove before flight" flag. Flag: 60cm x 8cm. Serviceable paperwork included with each gauge! Tornado Aircraft Pressure Gauge. JET PROVOST T5. Ideal For Jet Provost T5 Operators or Museum Restoration Project etc. Engine Bleed Air De-Icing Pipe. Ideal For Strikemaster Operators, Restoration Project etc. MAIN WHEEL ASSEMBLY. BAC167 STRIKEMASTERAIRCRAFT. Great for upcycle projects. Table legs, aviation decor, man cave decor, industrial/rustic look, and lots more! Tornado Aircraft Engine Part. Genuine & Direct from the MOD. Good used condition -You will receive one similar to the main photos. Upcycled into a lovely keyring, it makes a fantastic present or general gift for any aviation fan. A real piece of history you can carry around with you. We have mounted each blade in clear acrylic on a machined base to set off its beauty. Aircraft Fluidic Transducer. Genuine & Direct from the MOD. Would be great for upcycling projects. industrial/rustic decor, wall art, man caves, display, collectors & lots more! Direct from the RAF. Tornado Aircraft Rubber Seal. Rubber / Plastic. The one in the photos is the one you will receive! The item dispatched will be similar to the item shown in the photos. Great for upcycle projects. aviation decor, man cave decor, industrial/rustic look, and lots more! Tornado Aircraft Engine Part. Genuine & Direct from the MOD. Direct from the RAF. Tornado Aircraft Engine Shaft. Tornado Aircraft APU Exhuast. Direct from the RAF. The one in the photos is the one you will receive! 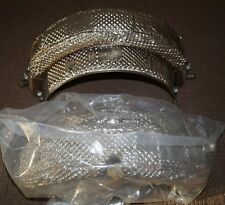 The item dispatched will be similar to the item shown in the photos.